There are many inspiring picture books about Spring! 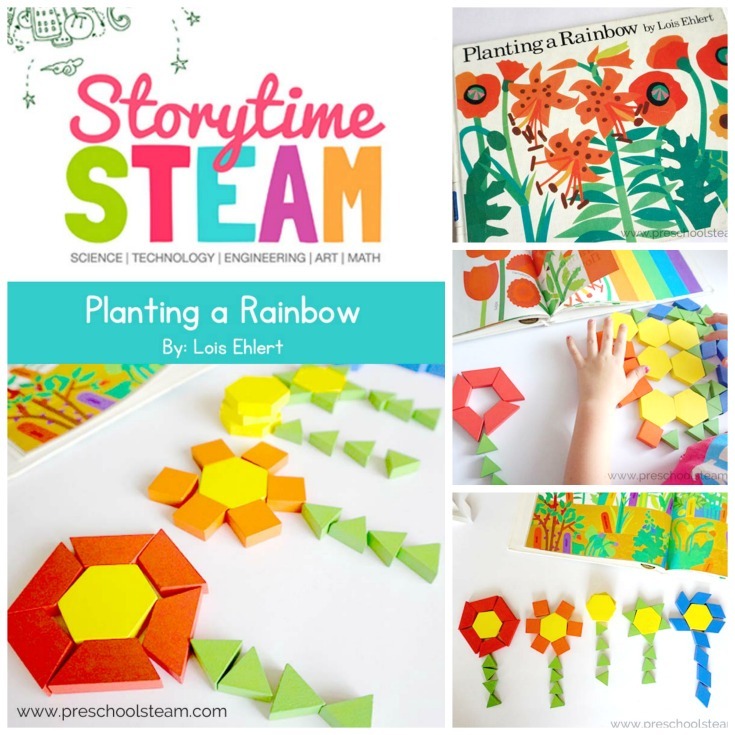 We used the classic book, Planting a Rainbow by Lois E for our inspiration for this storytime STEAM activity. 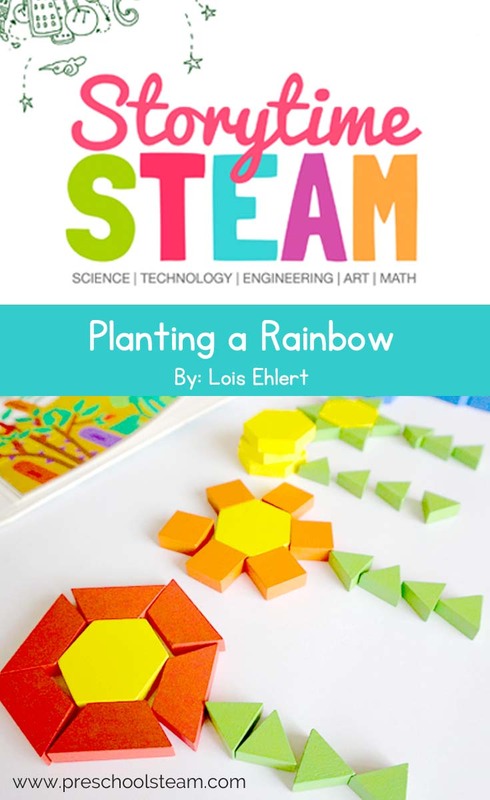 For this storytime STEAM activity, we were inspired by Lois Ehlert’s, Planting a Rainbow. STEAM is the combination of Science, Technology, Engineering, Art, and Math. 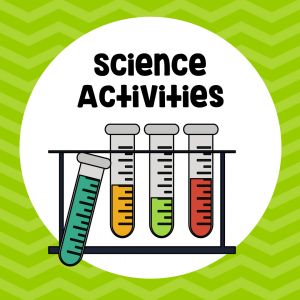 STEAM activities help promote essential 21st-century skills, which is important in preparing our children for an unknown future. This post contains affiliate links to products I personally recommend. Click here to read my full disclosure policy. Thank you for supporting Preschool STEAM. 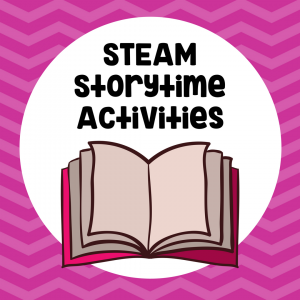 You do not need expensive tools or materials to get started with STEAM activities. 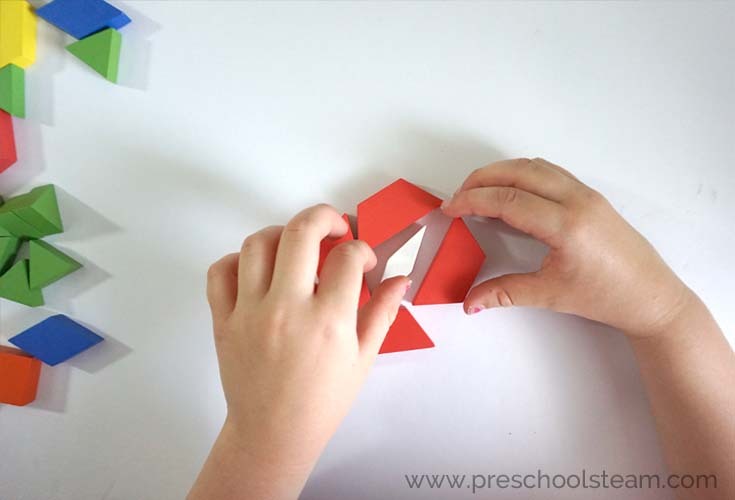 Many STEAM challenges may be accomplished with simple classroom supplies like pattern blocks. 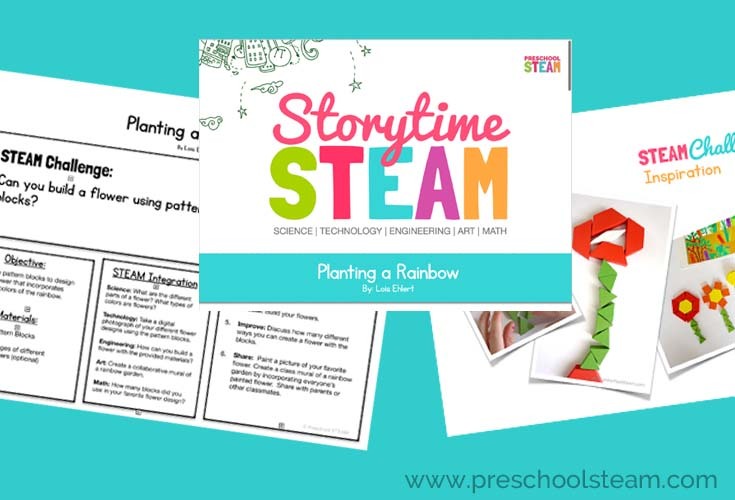 Check out our Rainbow Garden inspired STEAM challenge below! 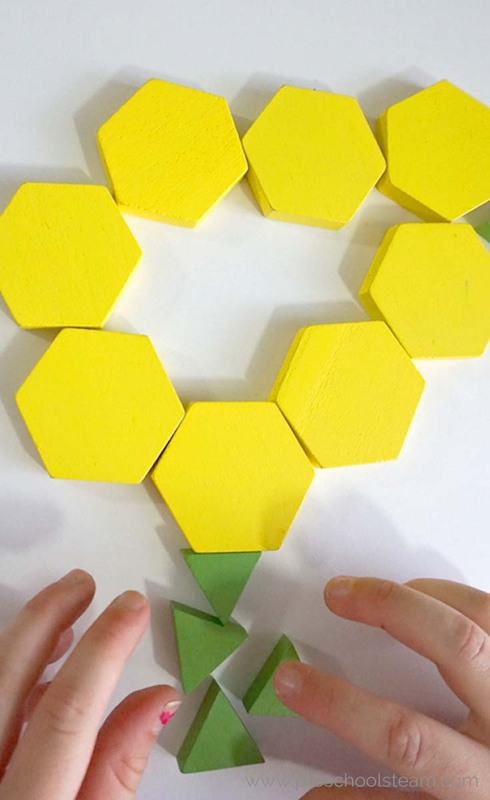 Can you build a flower using pattern blocks? 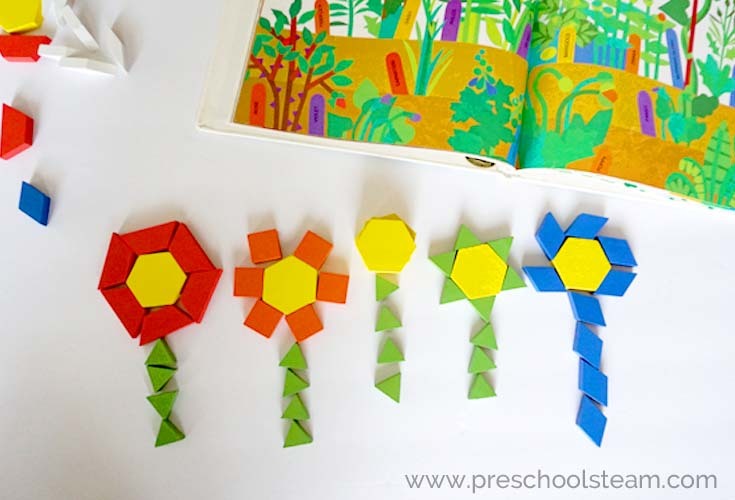 Objective: Use pattern blocks to design a flower that incorporates the different parts of a flower. 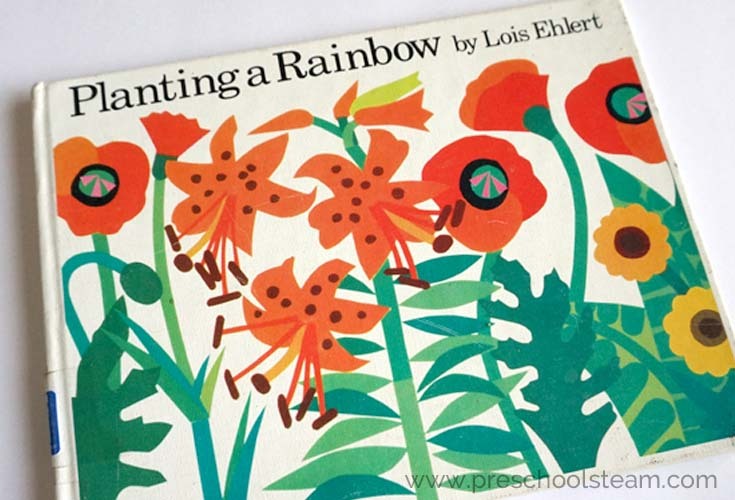 Read the story, Planting a Rainbow. Ask: What are the different parts of a flower? How can we build a flower using the pattern blocks? 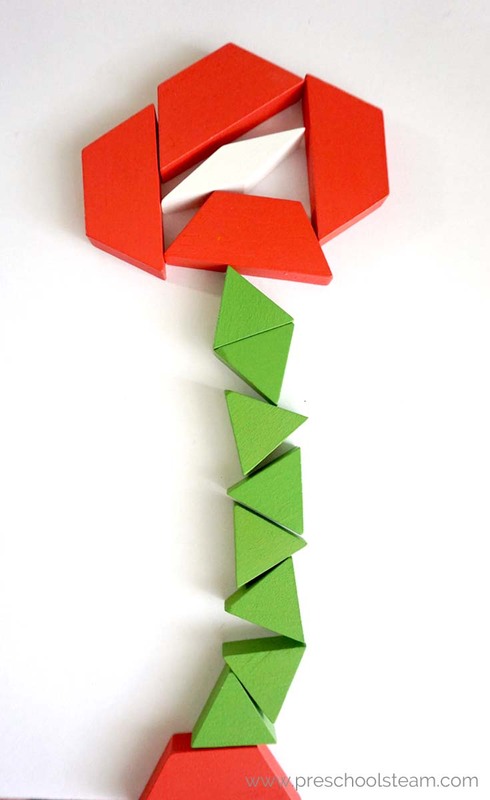 Plan: Discuss and collaborate together or in small groups, on how different ways to build a flower. Students may wish to draw their design. 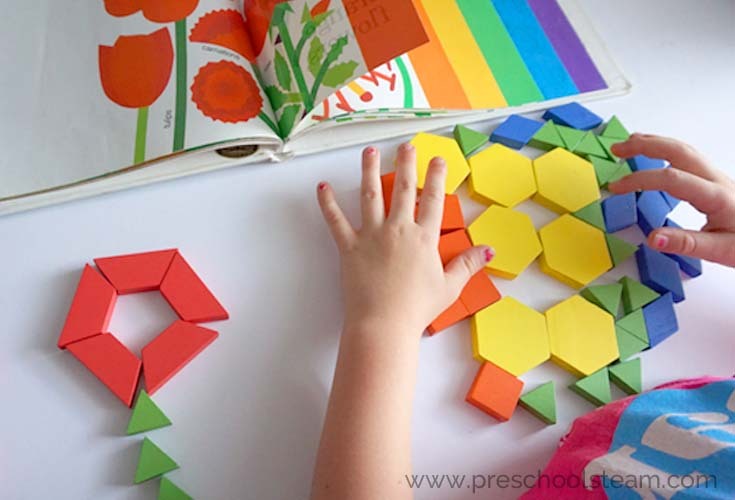 Improve: Discuss how many different ways you can create a flower with the blocks. Allow students to redesign their creation to try to make even more designs. “This is a red tulip. The red block at the bottom represents the roots”. Share: Paint a picture or take a digital photo of your favorite flower. Create a class mural of a rainbow garden by incorporating everyone’s painted flower. Share with parents or other classmates. Science: What are the different parts of a flower? What types of colors are flowers? Technology: Take a digital photograph of your different flower designs using the pattern blocks. Engineering: How can you build a flower with the provided materials? Art: Paint a picture of your favorite flower and create a collaborative mural of a rainbow garden. 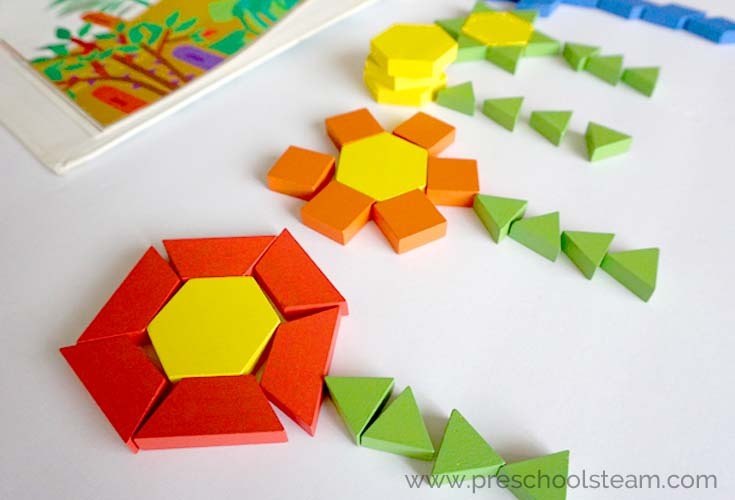 Math: How many blocks did you use in your favorite flower design?